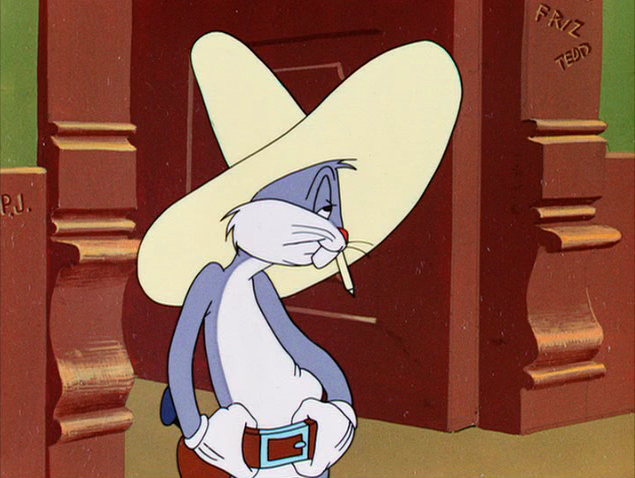 You are currently browsing the tag archive for the ‘Yosemite Sam’ tag. 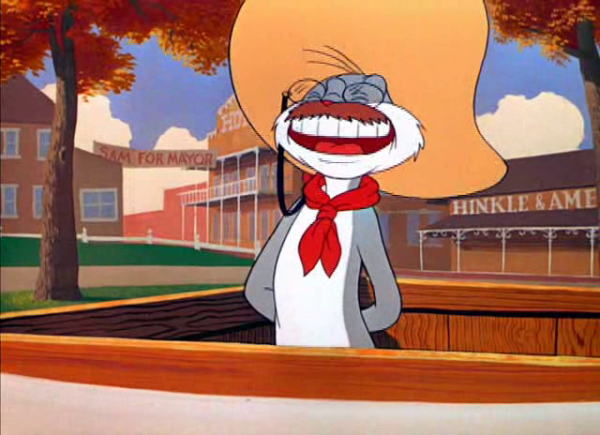 Bugs is presenting a vaudeville show in some western town. 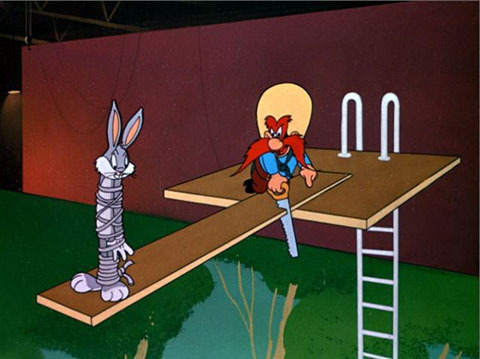 Yosemite Sam especially visits his show to see the high diving Fearless Freep. Unfortunately, Freep is delayed by a storm and can’t come to perform. The disappointed Sam urges Bugs to take Freep’s place. Penned by storyman Tedd Pierce, this wonderfully hilarious cartoon takes a single idea from Freleng’s earlier ‘Stage Door Cartoon‘ (1944) and milks it brilliantly to a superb finale. 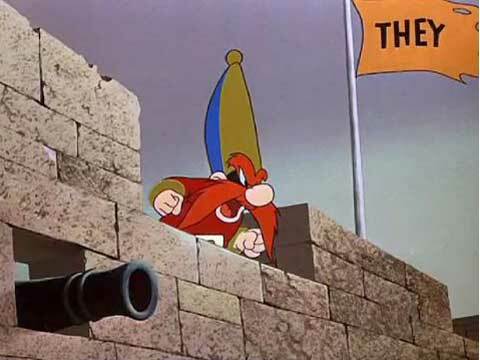 Freleng’s timing rarely was so effective as in this cartoon, and it must rank among his all time best. 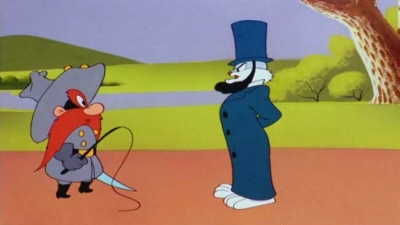 Bugs Bunny dares to resist Yosemite Sam in this Western entry, which is both delightfully classic and totally absurd. 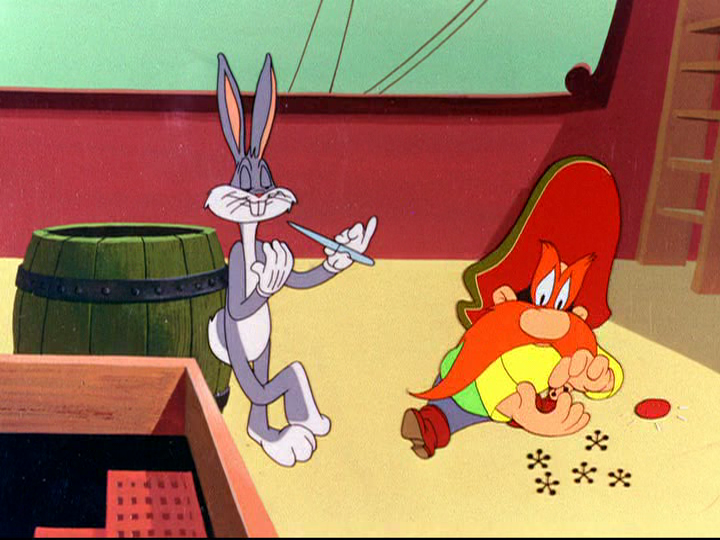 For example, when Yosemite Sam exclaims that ‘The town is not big enough for the two of us’, Bugs responds by building an enormous block of skyscrapers in a few seconds! Its finale, too, is hilarious. When Bugs tries to board an unwilling Sam on a train leaving town, they discover this train’s going to Miami and is full of dames in bathing suits. Then they both want to board it! Needless to say our hero wins the day. 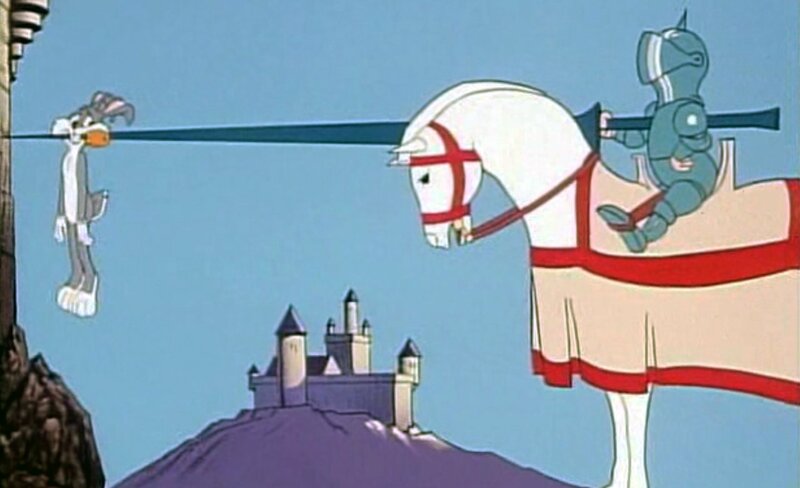 ‘Bugs Bunny Rides Again’ is a brilliantly hilarious cartoon full of great and flexible animation, and undoubtedly one of Bugs Bunny’s finest entries. 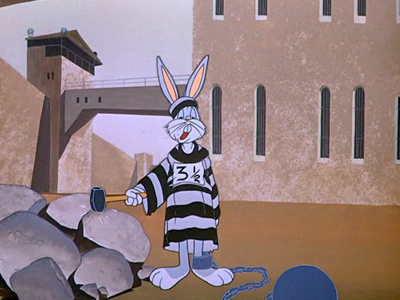 The short reuses some footage of a dancing Bugs from ‘Stage Door Cartoon‘ (1944).